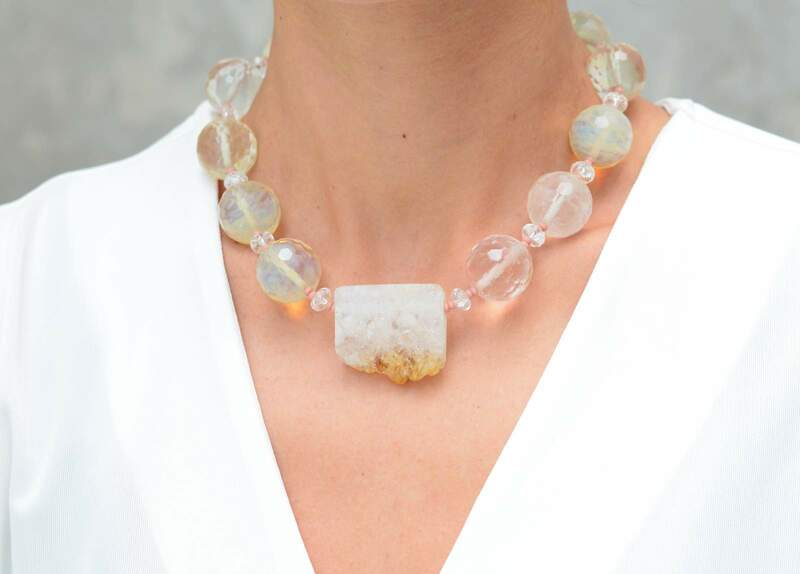 Yellow Smoky Quartz Statement Necklace with Raw Citrine Quartz. 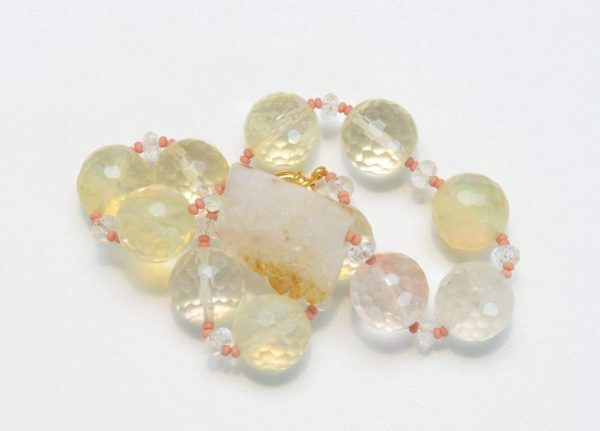 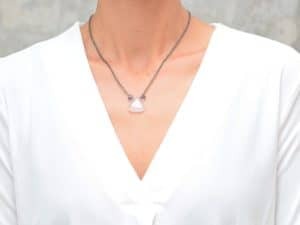 The delicate colors make this the perfect necklace to go with everything and accent any look. Smoky quartz faceted stones perfectly accented with a raw citrine crystal quartz. 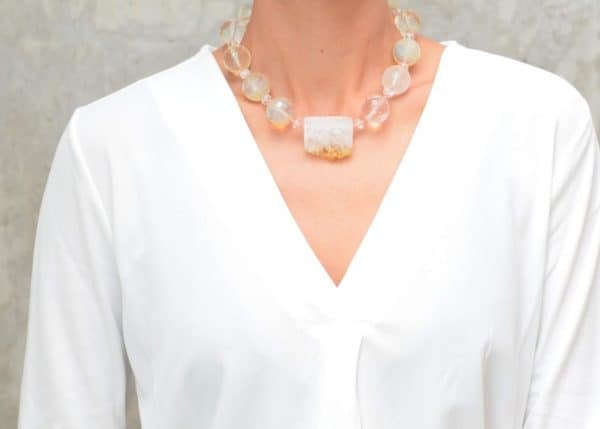 Perfect statement necklace that will easily go with everything and transition from day to night.